After a spate of accidents that hit naval vessels, Indian Navy Chief Admiral D K Joshi has resigned on Wednesday accepting moral responsibility. A government statement on Wednesday evening said his resignation has been accepted. “Taking moral responsibility for the accidents and incidents which have taken place during the past few months, the Chief of Naval Staff Admiral DK Joshi today resigned from the post of CNS. The Government has accepted the resignation of Admiral Joshi with immediate effect. The Vice Chief of Naval Staff Vice Admiral RK Dhowan will be discharging the duties of officiating CNS, pending appointment of regular CNS,” said the statement. An accident occurred aboard a submarine on Wednesday morning in which seven navy personnel were injured. 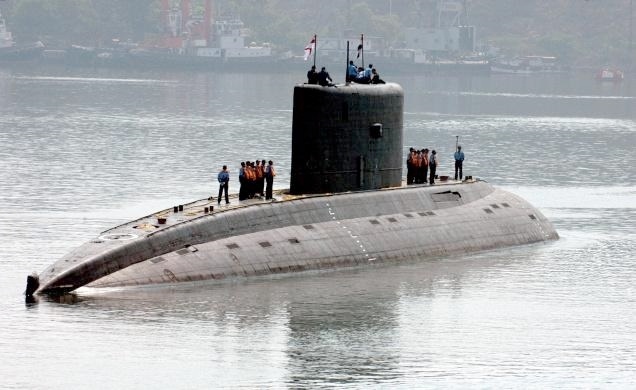 The INS Sindhuratna was being sea tested after a refit, about 40 to 50 km off the Mumbai coast when a leakage in the battery compartment of the submarine occurred resulting in seven Naval personnel suffering suffocation. Spoiling a series of modernisation triumphs for the Indian Navy, this was the 10th mishap involving an Indian warship and the third submarine accident in the last seven months. The incident comes after 18 naval crew were killed in August last year when the fully-armed Russian-built INS Sindhurakshak exploded in flames and sank in a military shipyard in Mumbai. Last month another submarine, INS Sindhughosh ran aground while returning to Mumbai harbour.